The relationship between Australian and Irish rugby officials has deteriorated due to the contract wrangle involving Kane Douglas and his return home to play for Queensland Reds. High-ranking sources have told Ruck'n Maul that Irish Rugby Football Union (IRFU) officials are "deeply unimpressed" with the behaviour of some of their Australian Rugby Union counterparts over their pursuit of Douglas, who decided to depart Irish province Leinster after only one season of a three-year deal; the Irish officials believe the ARU fervently tried to get Douglas to break his overseas contract so that he could be available for the Wallabies' Rugby World Cup campaign. Leinster were apparently underwhelmed by Douglas, as he failed to excel on the football field, but still they demanded a fair price to allow the lock to return to Australia. The IRFU held Douglas' contract, and Ruck'n Maul has been told by several sources that the union demanded a fee of around $Aus250,000 to release Douglas. Who exactly is paying this fee? The identity at the moment is a bit of a mystery; but let's just say we can anticipate eruptions if Ireland and Australia meet each other during the World Cup. This new comes just as influential Toulon owner Mourad Boudjellal is threatening to sue the ARU for trying to convince Quade Cooper not to join his club. Boudjellal has accused the ARU of "dirty" tactics. Seems the ARU is currently losing friends all over the world. As Wallabies coach Michael Cheika gives several more players a chance against Argentina, he is also ensuring that World Cup tournament structures are in place. Sources close to Cheika claim he will be setting "some very firm guidelines" about player availability during the tournament, and has warned against tour operators "being guaranteed the endless amount of player appearances previously promised". Cheika is basically ensuring that player distractions are minimal. They could even be hidden away. 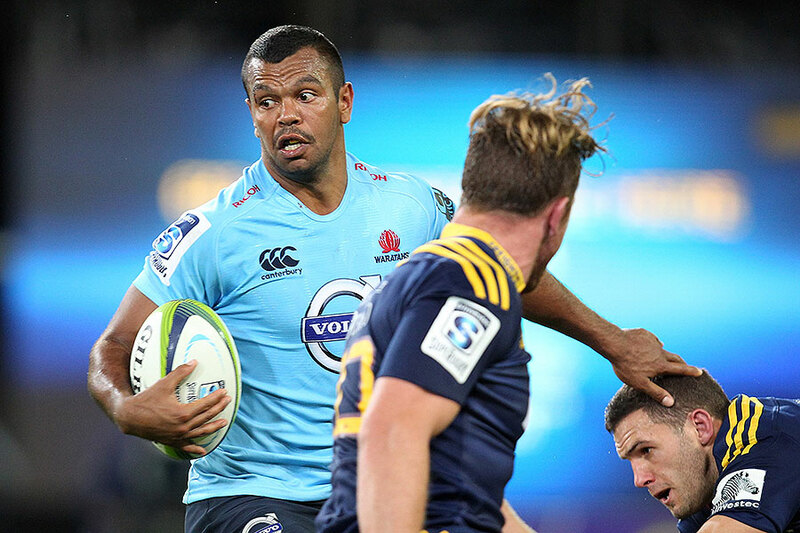 Word out of the Wallabies camp is that the squad is a pretty harmonious group at the moment, even though we are told the out-of-form Kurtley Beale was emotional after he was not picked for the South Africa Test in Brisbane. Beale, who knows how to charm certain sections of the media, is hopefully a little happier now he is on the bench against Argentina. Beale's behaviour on and off the field will be closely observed by Cheika, who, according to his inner sanctum, "does not cop nonsense or silly antics". Beale has been warned. And the events of last year's Wallabies trip to Argentina haven't been forgotten. There were many raised eyebrows following an article in The Australian last week, where ARU chief executive Bill Pulver appeared to be negotiating some odd U-turns. After strangely dismantling the ARU high performance unit shortly after he joined the organisation, Pulver now appears to see merit in such a system. "We really need to have a world-class high-performance program supporting the elite end of our game," Pulver said. Pulver added that ARU officials were "working with a number of industry experts pulling together a plan that will see the right high-performance environment for Australian rugby going forward", with the aim for the Wallabies to "be consistently in the top three teams in the world". The Wallabies have just moved from an embarrassing sixth to No.5 in the World Rugby rankings - an improvement but still another blot on Pulver's substandard three year period in charge. We are told that his comments about how the ARU could also soon be rich, rich, rich had many at board level "scratching their heads". After reading quotes such as "as I look over the next five years, the financial state of the game will probably never have been stronger", the ARU affiliates, tired of hearing how poor the national body supposedly is, have already started knocking on the head office's doors. There was some interesting discussion at the recent Sydney Rugby Union special general meeting over what the ARU wants from NSW. The meeting was told the ARU "has expressed a strong desire for NSW to move to an independent board". The recommendation of a report is for the board to have two professional rugby representatives, two community representatives and three independents, including the chairman. We also hear the cooperation between the Queensland Rugby Union (QRU) and the Wallabies, while they were in Brisbane, was not as positive as in previous seasons. Then again, the QRU are currently struggling big time to get their own house in order. "There is a lot more pride and passion in the jersey and I'm excited to be part of that." Adam Ashley-Cooper It will take some time before the shadow of the Ewen McKenzie/Di Patston era disappears entirely from above the Wallabies player group. As stakeholders complain about participation fees and budgetary cuts in Australian rugby, no wonder there was outrage in the ranks when they heard an ARU powerbroker brag about getting a one-year payout if his contract is terminated. This underperforming big wig added to the anger by going on about a compromise deal by which he stays on for an extensive period of time so the ARU avoid a payout. This will infuriate others at Crows Nest, who have their eyes firmly on his position, and the many who believe he has been a flop. Michael Cheika and a former NSW Rugby Union director were sighted at the Liverpool-Brisbane Roar soccer match at Suncorp Stadium the night before the Brisbane Test. Something had them laughing so much that it attracted the attention of more than one contributor to this column. 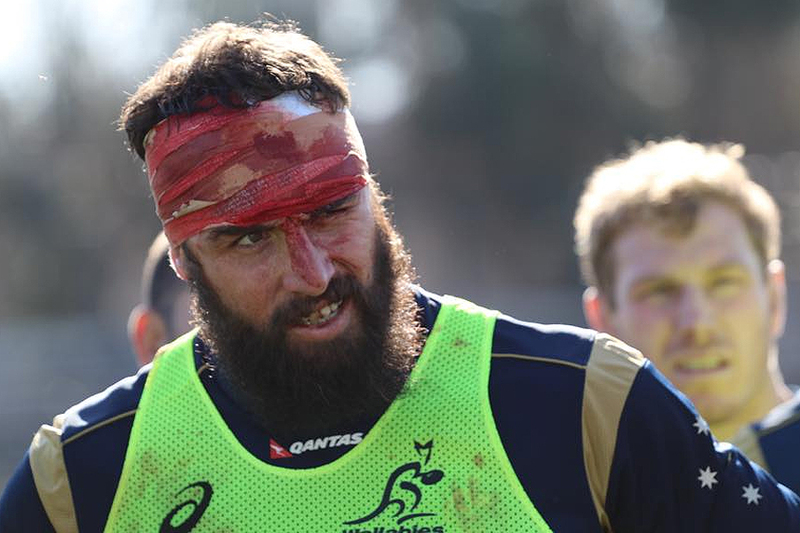 The Australian players were on their best behaviour back at the Wallabies team hotel after the Brisbane Test; pity that some officials "threw a tantrum" when the free bar ended and then argued over the price of a bottle of red wine. And was that really a provincial coach struggling to find the bathroom despite repeated instructions from onlookers? Apparently Welsh referee Nigel Owens was a big hit on the public speaking circuit while he was in Brisbane for the Test. One of his best lines involved his thoughts on a former referee, who has recently departed the scene. Sadly, my editor would never allow me to reproduce the line; it is even too fruity for this cheeky column.